HoneyCrisp apples are finally ready for picking and Aaron's birthday is this week so I planned an Apple Picking/Aaron Bday party. 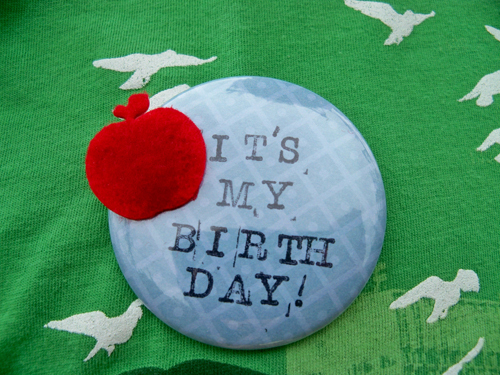 I even made buttons as party favors. We are all big fans of HoneyCrsip apples. 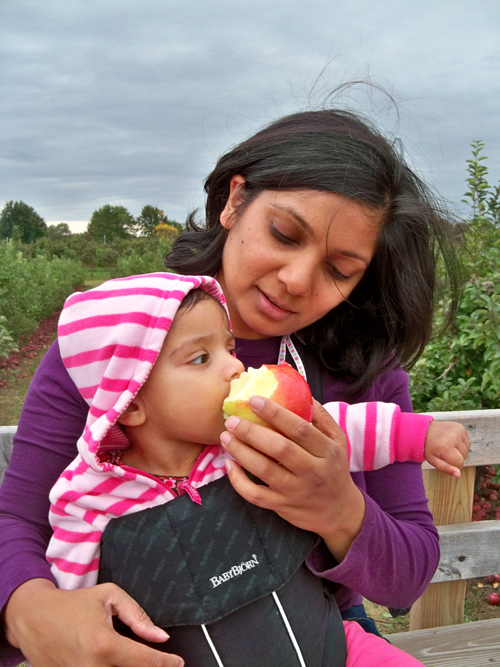 I think apple picking is one of the best fall activities. 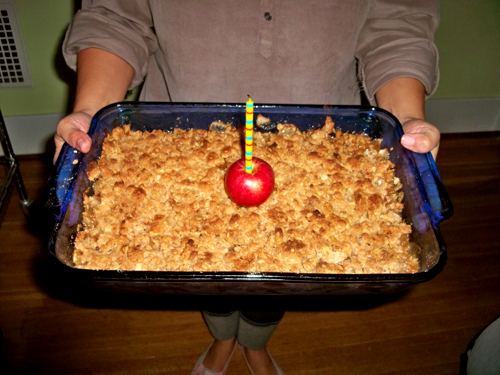 Instead of a birthday cake I made Aaron a birthday apple crisp. Those buttons are too cute! 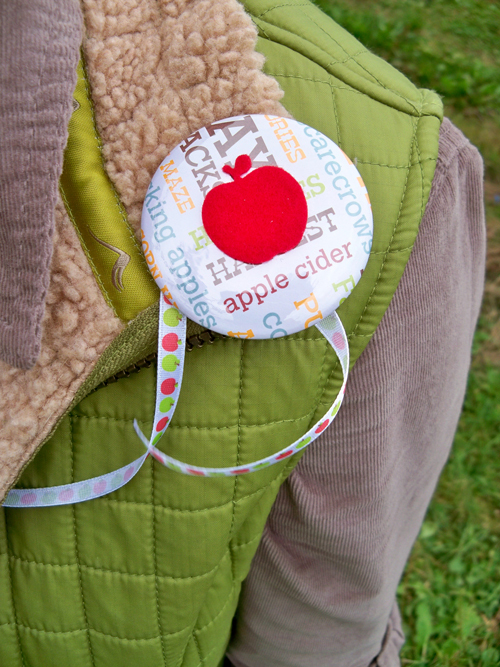 And what a great idea - I want to organize an apple picking party now! You've also inspired me to want to go to the local apple farms in Placerville, CA. Honeycrisp are my ABSOLUTE favorite. I look forward to this time of year so much! Did you know that there's a patent on them? 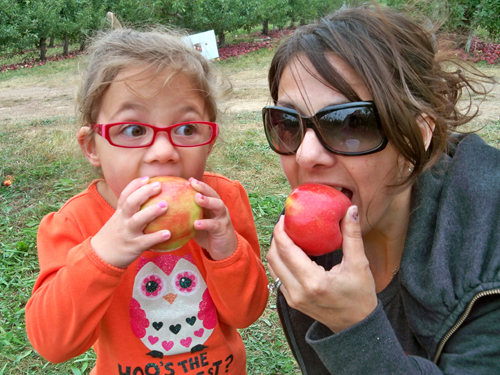 Kimberly - we go apple picking at Whittier Fruit Farms on the west side of Rochester because they grow HoneyCrisp. 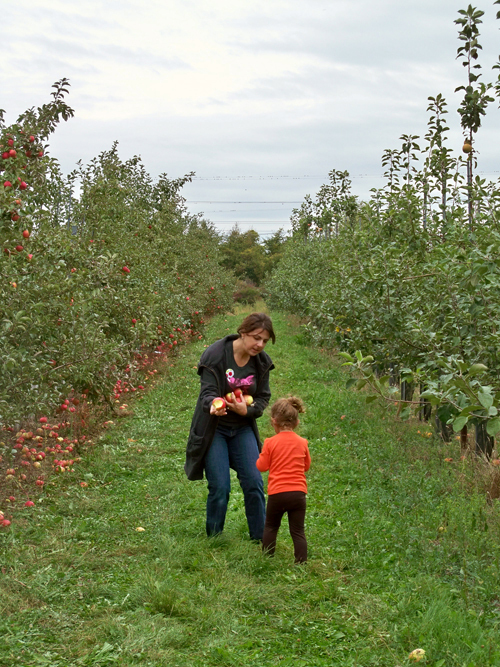 Some fun places to go is The Apple Farm in Victor or Kellys Apple Farm in Hilton because they have more "stuff" - apple cider, candy apples etc.